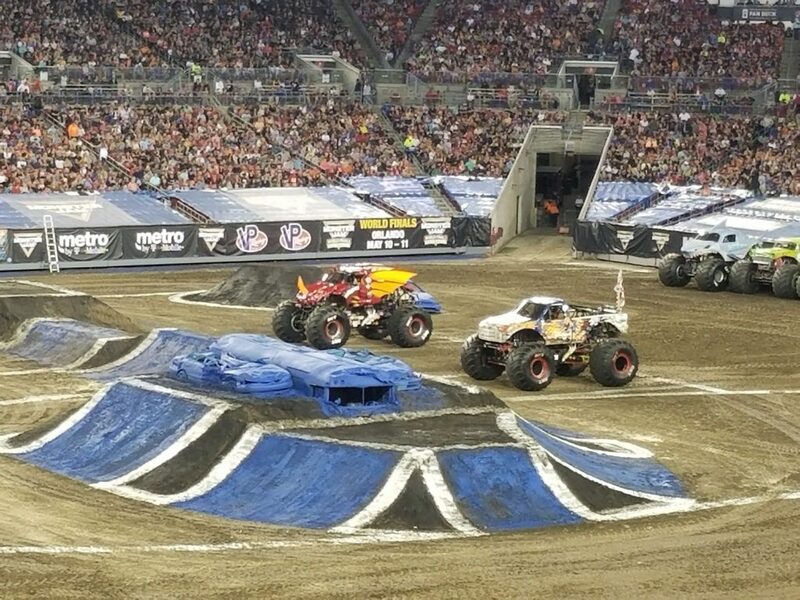 However, here I am 2.5 years in (living in Tampa) and at Monster Truck Jam enjoying every minute of it. It is funny how when you move to a new area, you adapt to change. This is my 3rd Monster Truck Jam and my family still likes going to these events. Monster Truck Jam Winter dates were Jan. 12th and Feb 2nd. We attended the Feb 2nd show (this past Saturday). What is Monster Truck Jam? 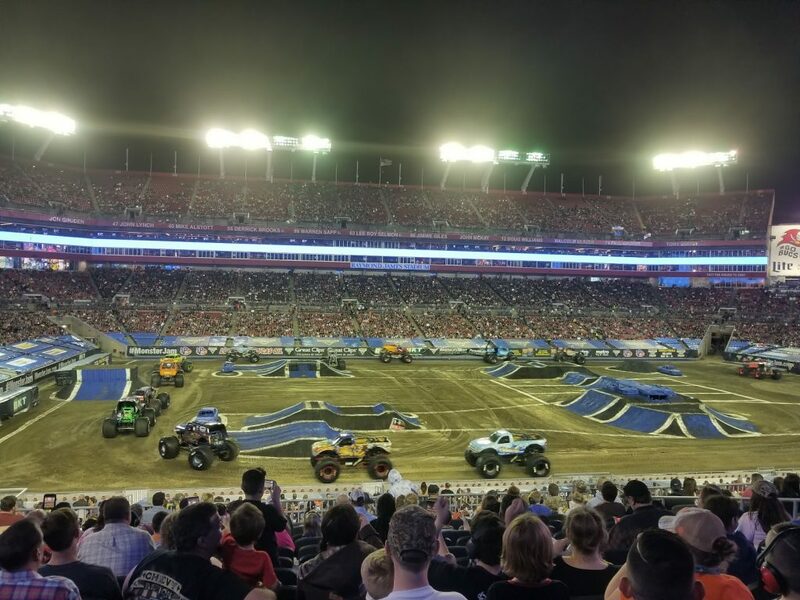 Monster Jam®, is the most action-packed live event on four wheels where world-class drivers compete in front of capacity crowds around the globe. Monster Jam features high octane spontaneous entertainment and intense competition, featuring the most recognizable trucks in the world. Tailgate – just like at a Tampa Bay Buccaneers game, bring your coolers, mini grills, drinks (if that’s your thing) and games for the kids. Enjoy the Pit Party – This is where the magic happens. Many Monster Jam events start with a pre-show Pit Party, which gives fans the best opportunity to meet the drivers and get autographs or pictures. These Pit Parties require a separate admission ticket, along with a ticket for the Monster Jam show. 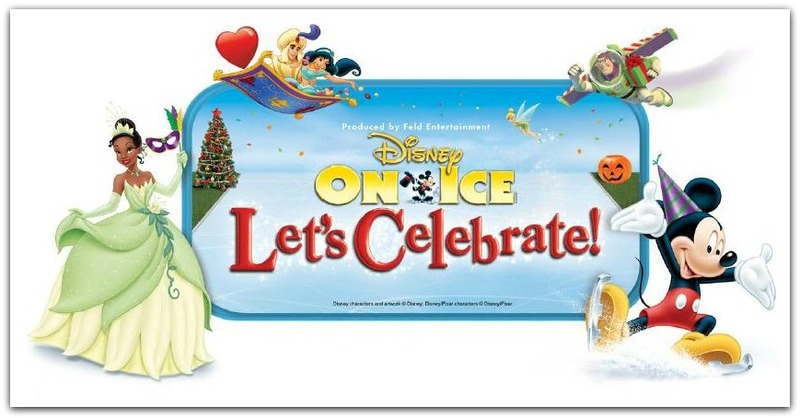 Be engaged in the event and ready to vote for your favorite performance on www.JudgeZone.com. The entire event is a contest with one major winner. After each contest, you get to vote with a score between 1 and 10 and it shows immediately on the screen. On this last visit, it started to pour down raining during the freestyle competition. 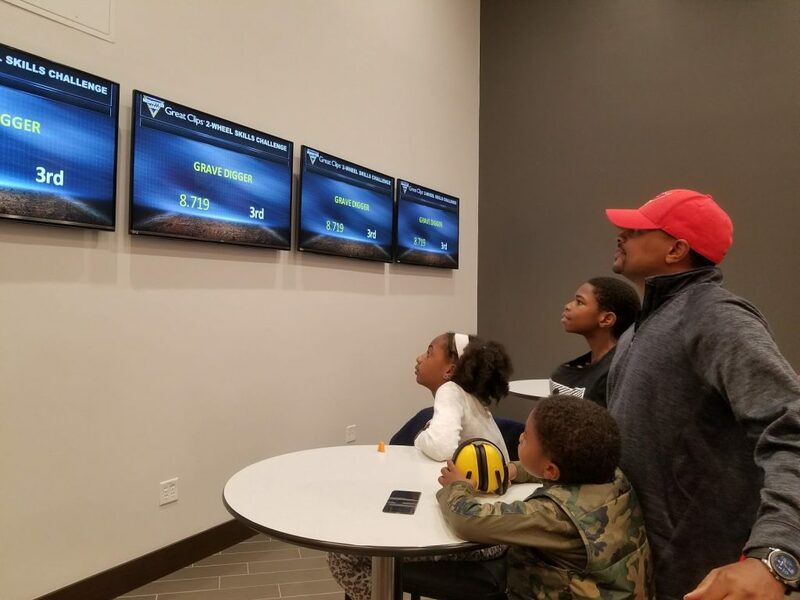 We had to quickly run inside and watch a good portion on the tv screens inside the Raymond James Stadium. When it stopped raining, we wiped off our seats and watched the rest of the show. There are three different contest. There are individual winners in each category, but overall there is one winner. My favorite part of Monster Jam is when I see a truck driver do something I’ve never seen before. I’m always looking for a creative trick. This year, there were two trucks that actually did a backflip and landed on its 4 tires without crashing or turning over. It was perfect. 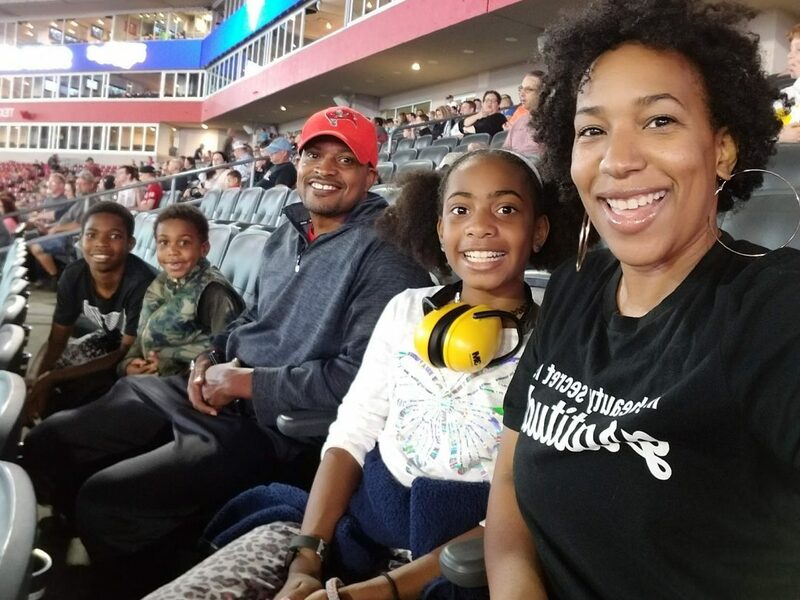 When Monster Jam comes to your town, take your family. I promise it’s a different type of fun. Also, don’t think it’s just for boys either. My daughter was the main one voting after each performance. You can check the Monster Jam website for dates, times and prices. Also, check out the #MonsterJam on social media. You might just see a familiar family on Twitter!